Start your day off right by giving your face a healthy dose of moisture. 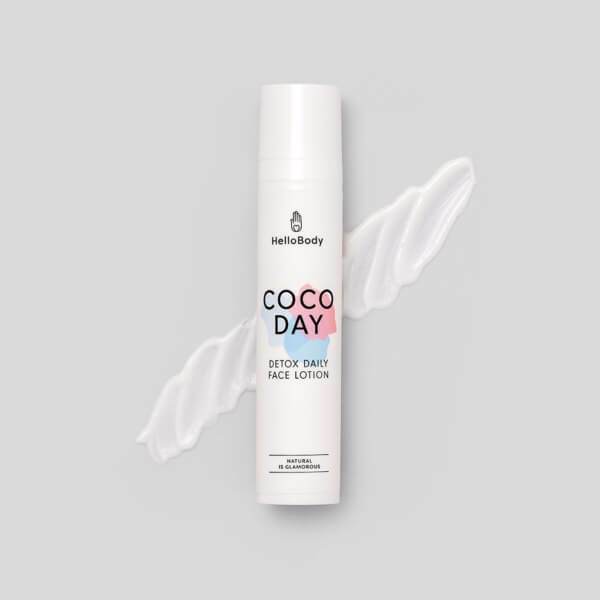 Formulated with vegetable oils, this cream smooths, softens and maintains the skin hydrated. But the wonders don’t stop there! Also containing peat extract, it purifies the epidermis and fights against external aggressors. Sweet almond oil: keeps the skin hydrated. Peat moss extract: purifies the skin. Every morning on clean skin, apply a small amount of cream on your face and neck. Massage gently until complete absorption. Do you want to add a glamorous but natural touch to your face? 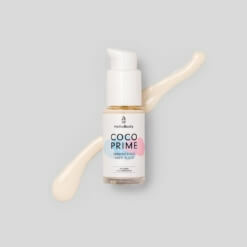 In addition to our COCO DAY, use our shimmering face fluid COCO PRIME for a radiant complexion! The morning routine for hydrated and protected skin. 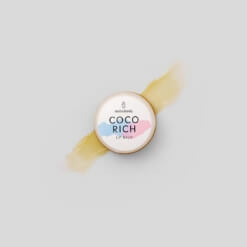 Combine the COCO DAY and our shimmering face fluid COCO PRIME, which can be used as a base for your foundation or a highlighter. Aqua, Decyl Cocoate, Glycerin, Coco-Caprylate, Distarch Phosphate, Cetearyl Alcohol, Glyceryl Stearate Citrate, Prunus Amygdalus Dulcis (Sweet Almond) Oil*, Levulinic Acid, Cetyl Palmitate, Cocos Nucifera (Coconut) Oil*, Peat Moss Extract*, Panthenol, Tocopherol, Helianthus Annuus (Sunflower) Seed Oil*, Sodium Levulinate, Parfum (natural), Glyceryl Caprylate, Sclerotium Gum, Xanthan Gum, Citric Acid.